Using the latest in window cleaning technology, the water that is used is purified and put through a filtering system which removes all imperfections in ordinary tap water, leaving the purest form of water that won’t leave smears, streaks or water marks that’s left behind by normal tap water, just a beautiful finish for your windows. This method is environmentally friendly as we use no chemicals or detergents. Another advantage to this method is the health and safety aspect, as there is no need for the use of ladders. This expert window cleaning system can be used for all outdoor window cleaning from ground floor up to 80ft high (24.4m) 6-7 floors. This also guarantees that all sills and frames are thoroughly cleaned. 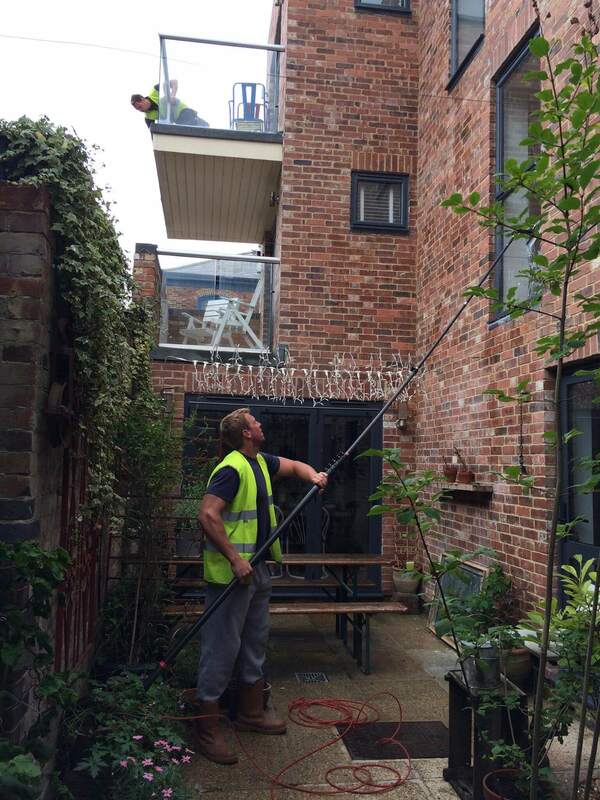 We are also fully trained in traditional window cleaning which may be suitable for older, more delicate windows like lead framed windows or on listed buildings. If you are aware your windows or sills are prone to leaking please inform the office when booking an appointment.